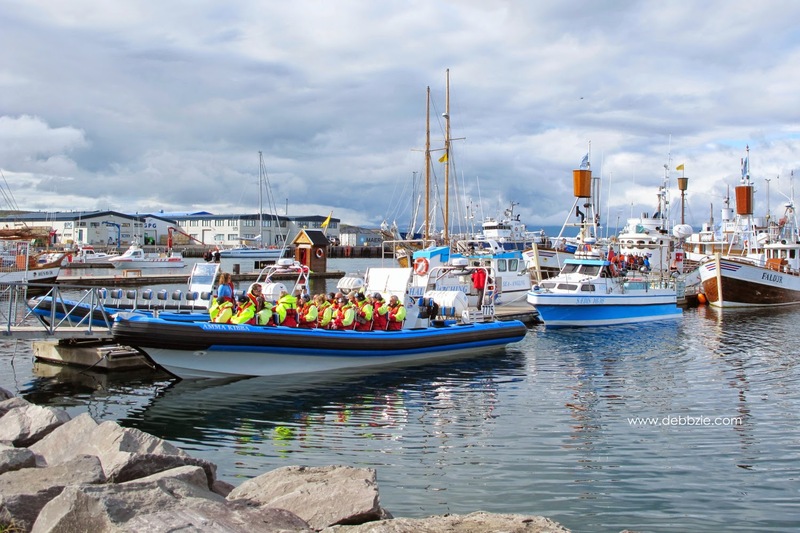 There are some spots in Iceland where you can join a whale watching tour but Husavik has been described as 'the whale capital of Iceland'. 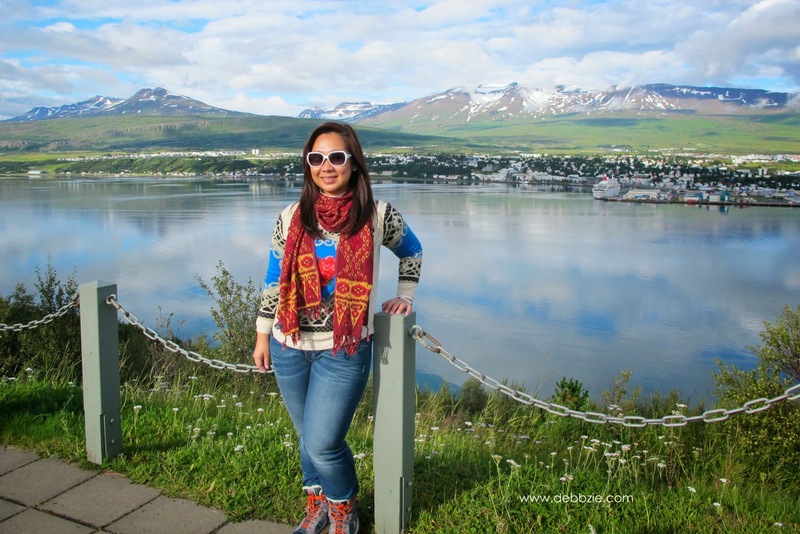 The previous night I was staying at Akureyri, a town at northern Iceland...just an hour away from Husavik. Woke up quite early because I was too excited for the tour and I was praying I'd be lucky enough to see at least one whale during the cruise. 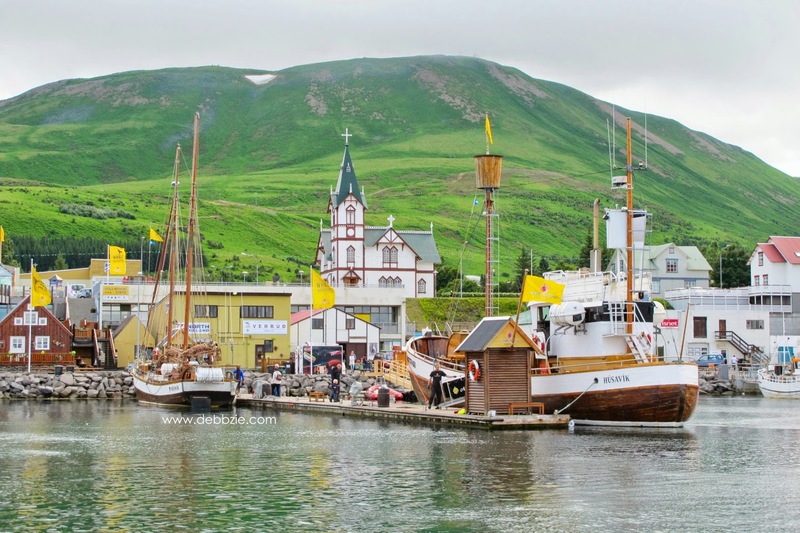 Arrived in Husavik, I was told that I had about half an hour before my boat set to sail. So I was wandering around the pier and admiring the pretty environment. 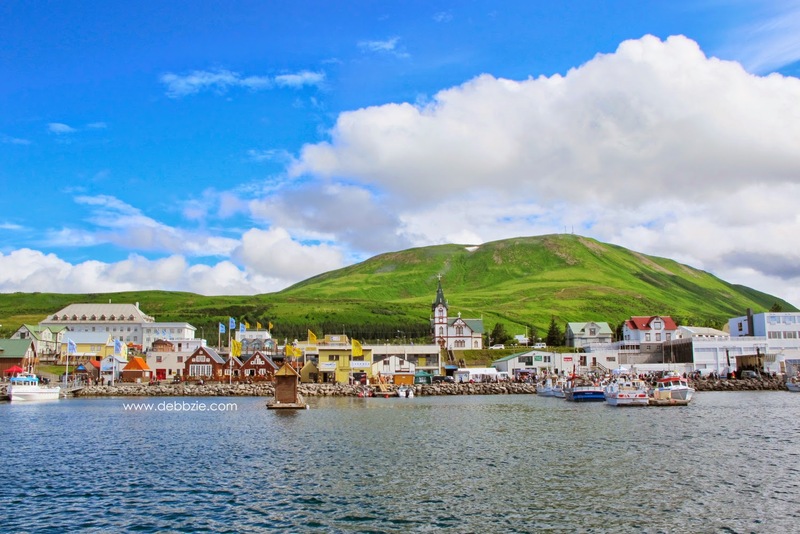 Husavik is a town on the north coast of island on the shores of Skjalfandi bay with more less 2000 inhabitants. 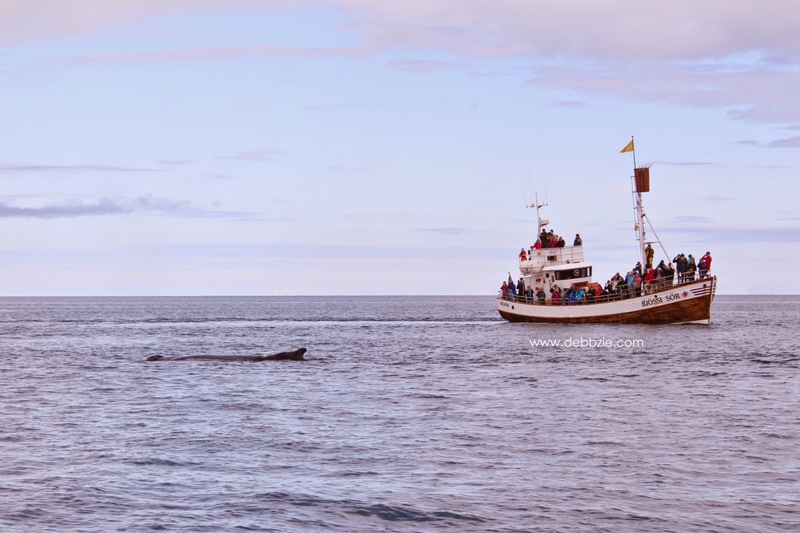 It has become a centre of whale watching in Iceland due to whales of different species that frequently enter the bay. 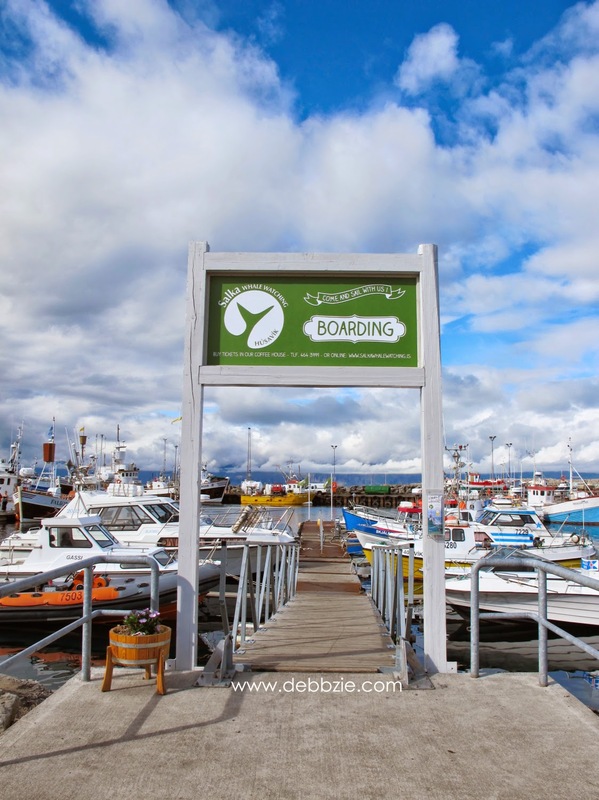 The guide told me that in Husavik you'll get higher chance to meet whales than any other places in Iceland. Although of course it's difficult to guarantee anything on behalf of the whales, they have the entire ocean as their backyard. Cross your fingers and you might be lucky to meet this humongous aquatic mammal. 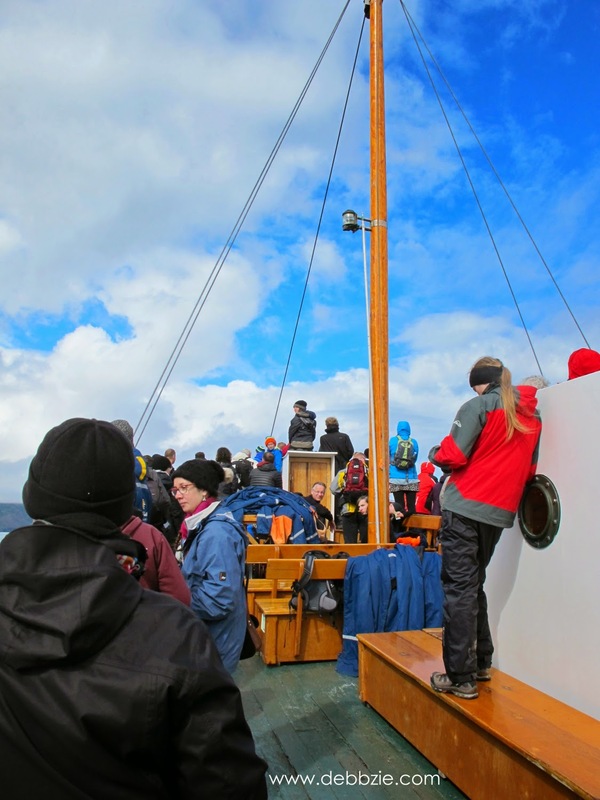 In Husavik instead of a modern ship, the whale watching tour will use an Iceland traditional oak boat or a schooner. I love that I got to experience a different perspective and had an opportunity to take time off from the hassle modern era. 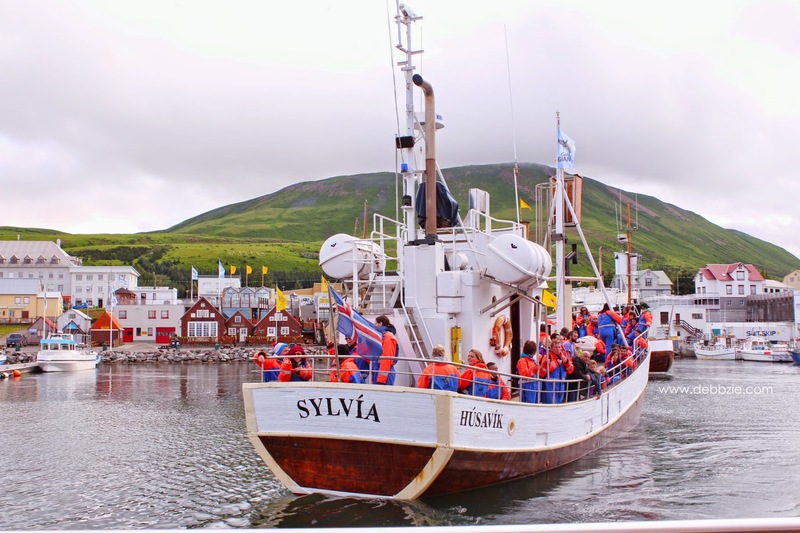 Commonly the cruise in Husavik will be smooth without waves and strong current compares to other cities. It's an important consideration since I'm prone to motion sickness. 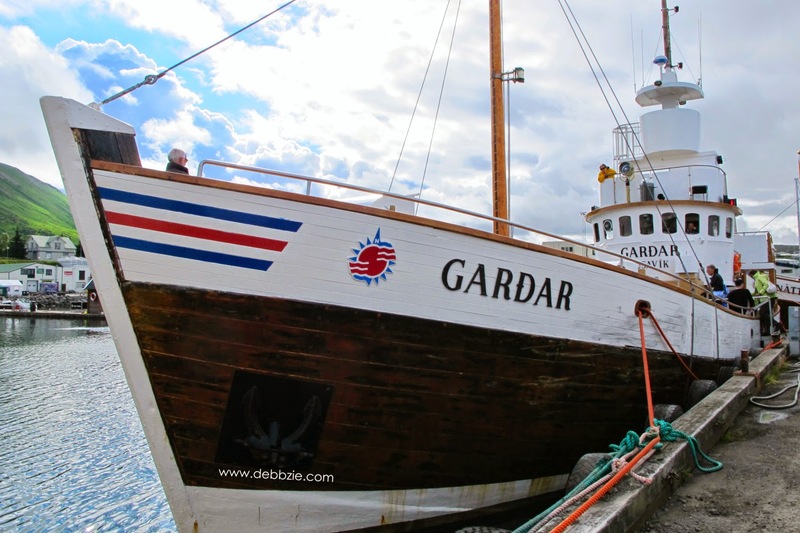 And finally it's time to board the schooner, mine was called Gardar which belong to North Sailing. 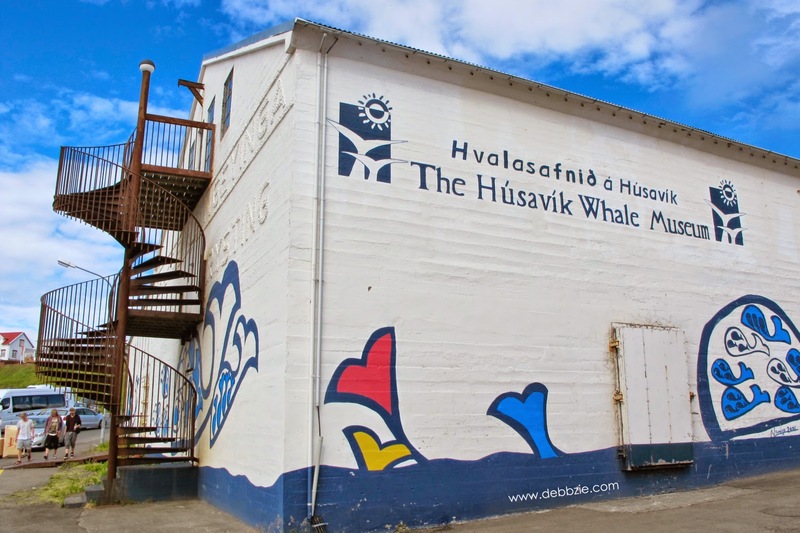 It's one of the first companies in Iceland to offer regular whale watching tours. 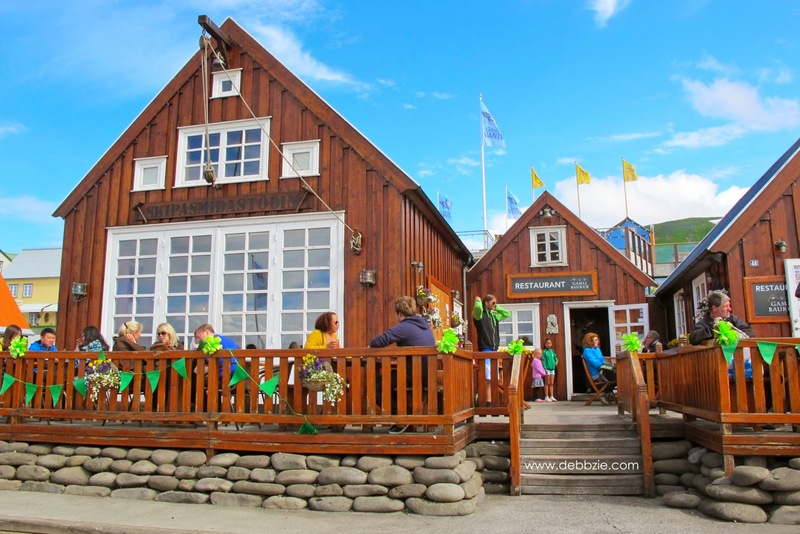 They also offer selection of various exciting tours and expeditions including visiting puffin island. 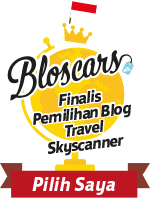 Extra clothes such as raincoats, hats, warm overalls and mittens to keep the passengers dry and warm, are also provided. For an approximately 3 hours cruise, I paid ISK 9280 or about € 58. I love the feeling of swift breeze brushing my face as soon as the schooner set to sail. Though it was summer, I was shivering. We were sailing for about 15 minutes when I saw another schooners stopped at one point and our boat made a turn to that direction. 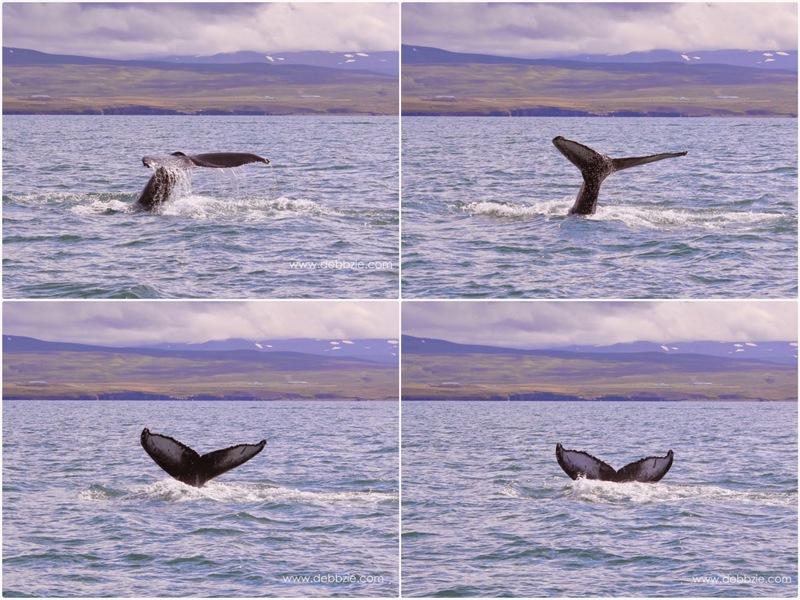 "On your ride side at 3 o'clock direction I can see there's a humpback whale doing what we call 'spout' or a powerful exhalation." The highly skilled skipper was giving a clue. All the passengers rushed to the railing, breathless with anticipation before they started saying "ooh...ahh...wow" in awe. 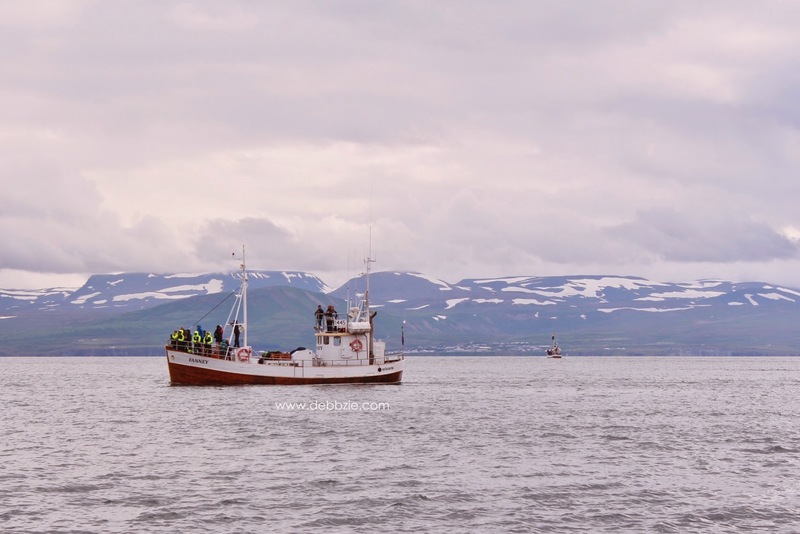 On the way back to Husavik harbour, the skipper spotted something so the captain steered the schooner to approach it. 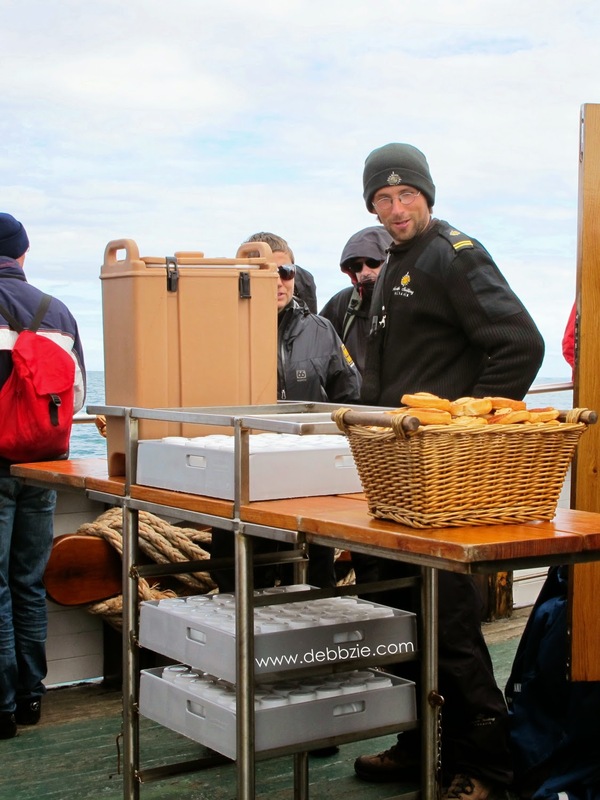 "On your 11 o'clock direction.... there's another humpback whale ready for a deep dive!" 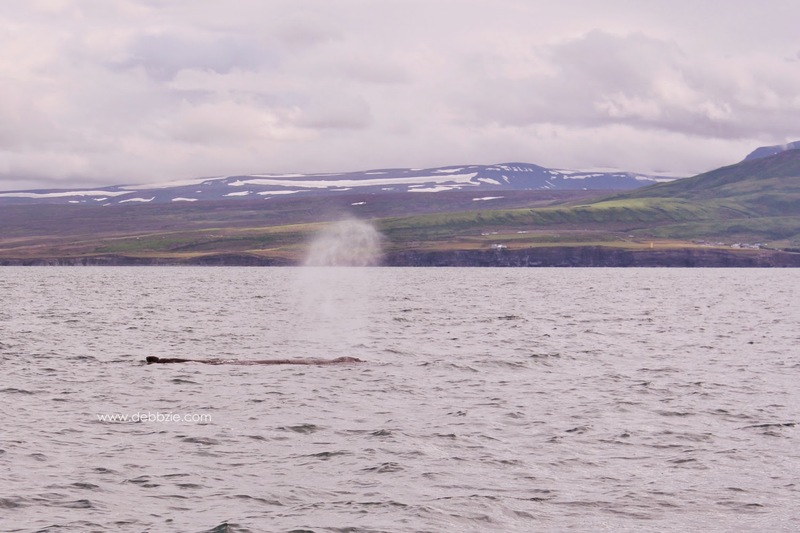 As the skipper just finished his word, the whale was arching its back slowly and raising it's fluke gracefully before finally disappeared into the sea with a loud noise of splashing water. Splash! 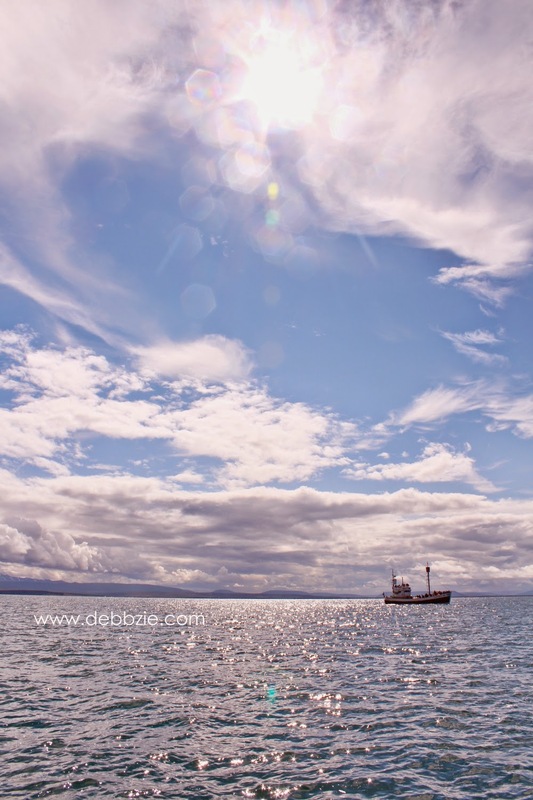 When I was in Alaska, I had to cancel my whale watching tour due to my Dad's health problem. And who knew 2 years later I'd had the chance to do it in Iceland. 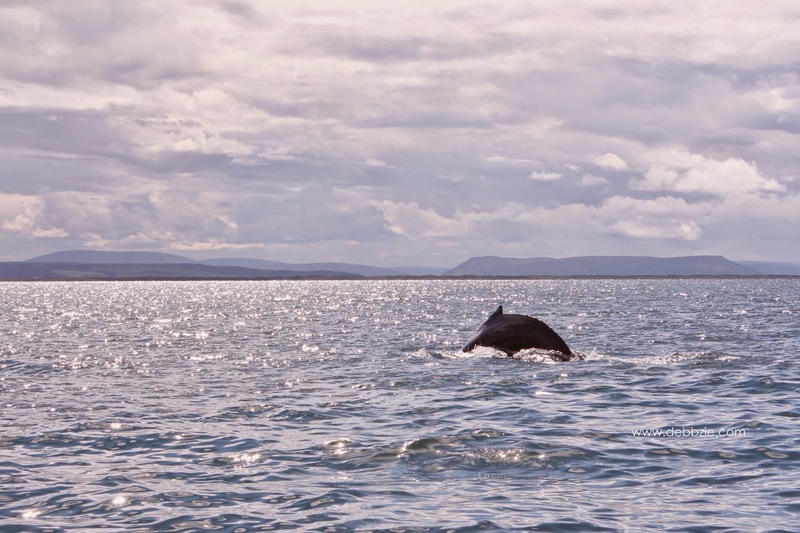 Having a close encounter with a whale in their habitat was truly a mind-blowing experience. It was a indescribable feeling indeed. I think I was being lucky to meet no less than 5 humpback whales during the tour. As I got off the schooner, I was grinning from ear to ear....feeling very happy. "Hey! How was your holiday? 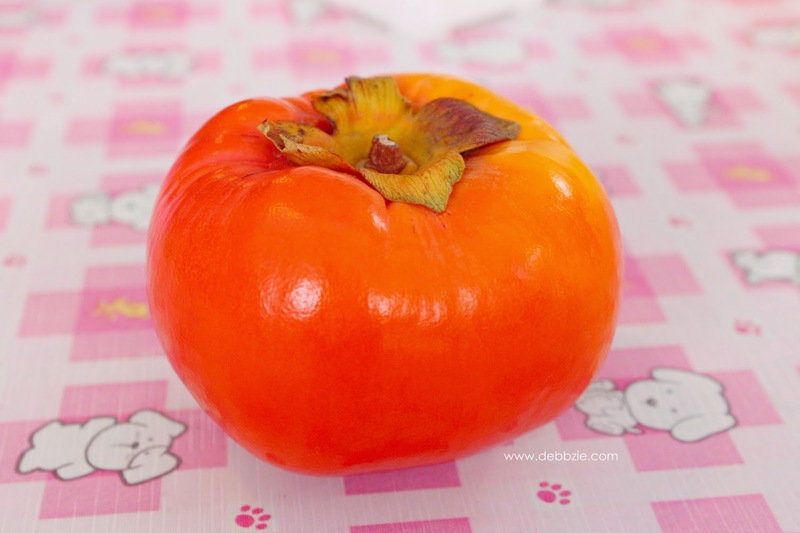 What have you eaten in Taiwan?" A friend asked me. "Wrong question, girl!" My dad jumped into our conversation. 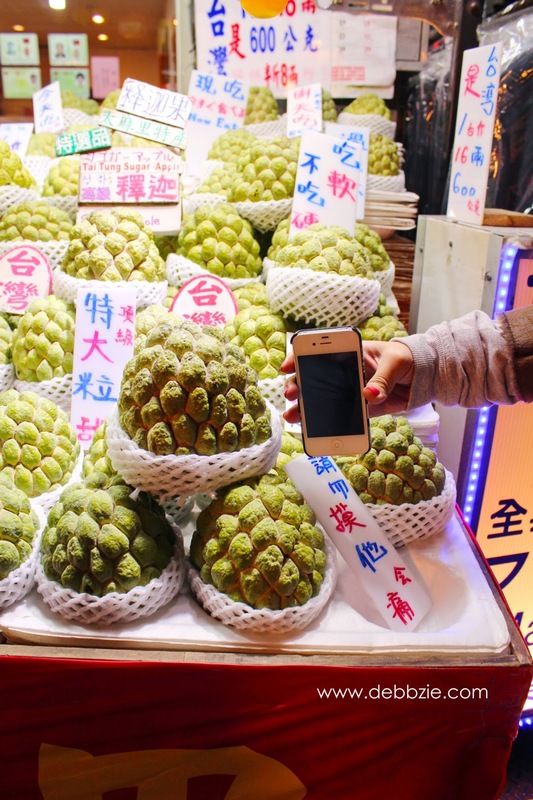 "The correct one would be, what haven't you eaten in Taiwan?". I thought I've only tasted some of Taiwanese delicacies. Until I was sorting the pictures and put them into one 'food' folder that I realised.....I have eaten sooooo much during my trip. I feel bad for blaming my jeans, I thought it has shrunk. 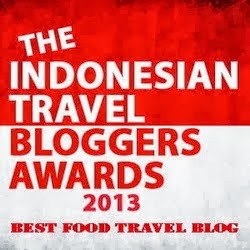 Also I'm having a hard time to choose only some of the millions food photo for this blog post. 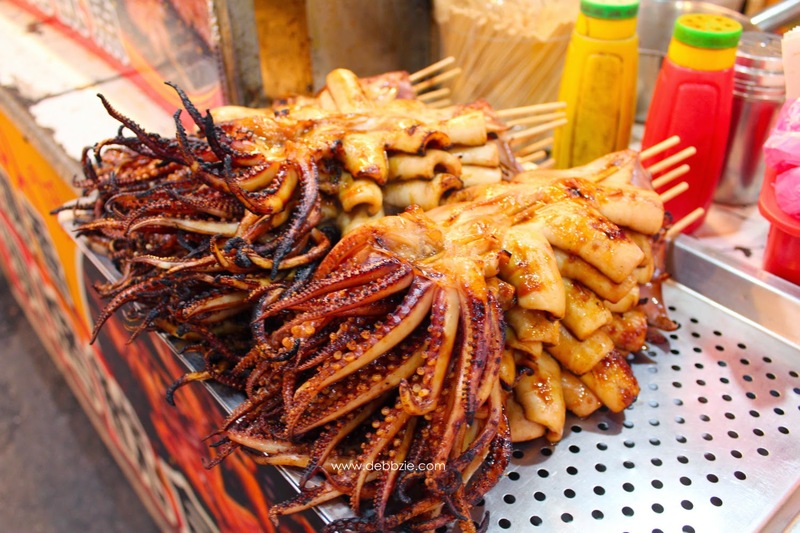 So what have I eaten in Taiwan besides the bizarre food like giant crickets, maggots omelet and chicken testicles? 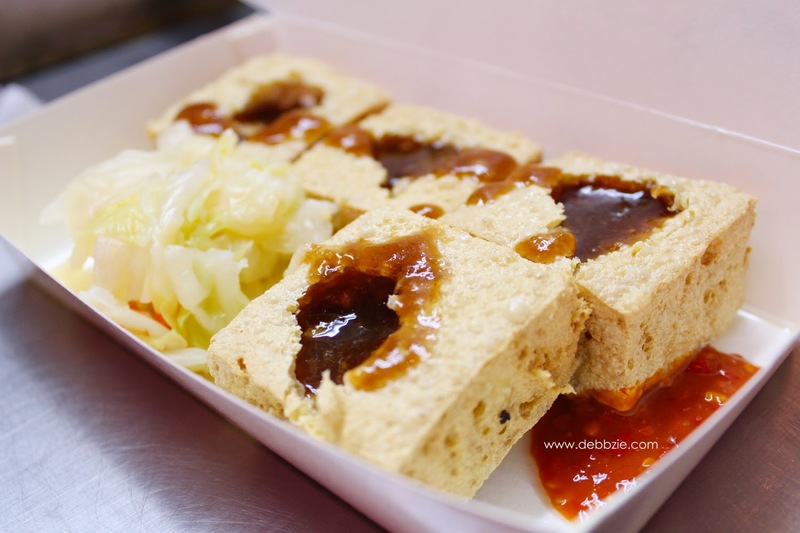 Stinky tofu is really stinky (Doh!). 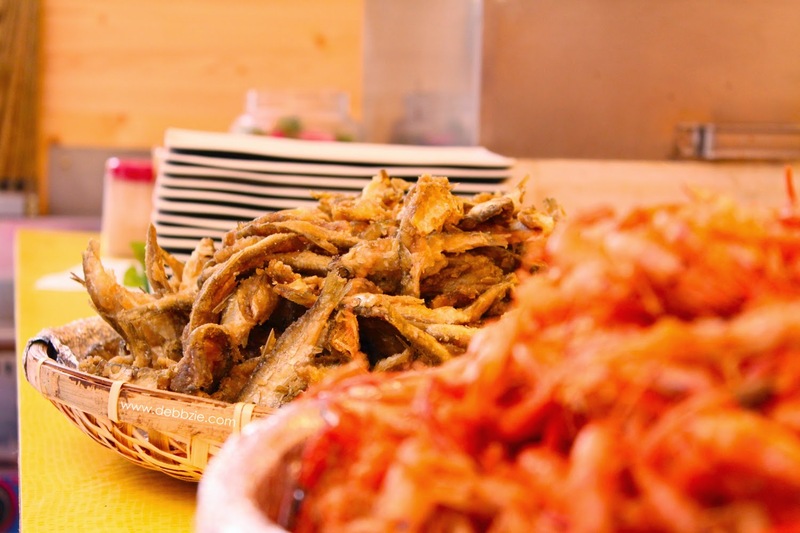 This famous night market food is most commonly prepared by deep frying though it can be eaten cold, steamed or stewed. How to describe the smell? I'm sure everyone has their own opinion, to me it was like the smell of rotten garbage mixed with horse pee and troll's fart then is baked under the sun for days. But don't let the deadly odour put you off because once you brave enough to taste it, you might get addicted to it. The texture is crispy outside and soft inside, served with pickled cabbage, chili and sauce which the taste reminds me of Indonesian shrimp paste. 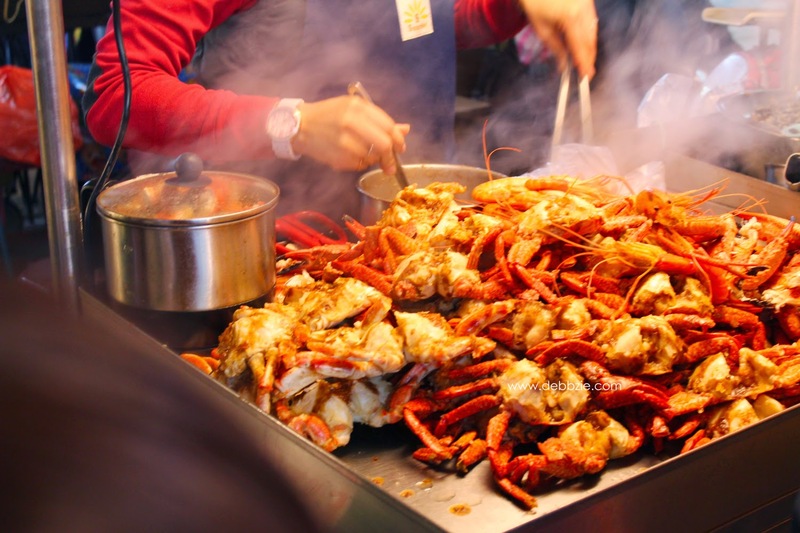 Despite the smell I almost always buy and eat this food every time I go to Taiwan night market. 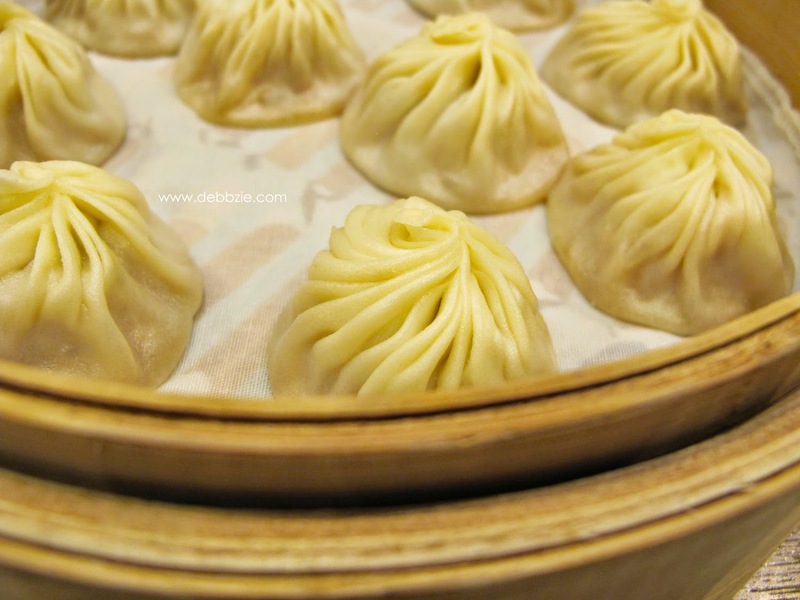 Xiao long bao or steamed bun is often referred as 'soup-filled dumplings' but I call it "bomb dumplings'. Why? Because when I tried it for the first time, my tongue got burned. My fault though, I pop the steaming hot dumpling in one go and the piping hot soup 'exploded' in my mouth. I thought I've lost my tongue! 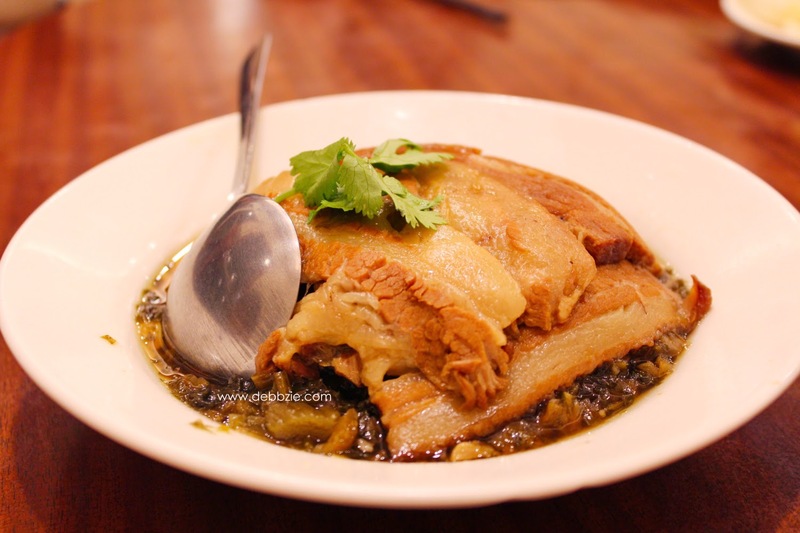 Traditionally filled with pork but the modern innovations include other meats, seafood and even vegetarian fillings. Though its ingredient contains of noodle (carbs), this dish is actually regarded as a snack and always served in a small portion. 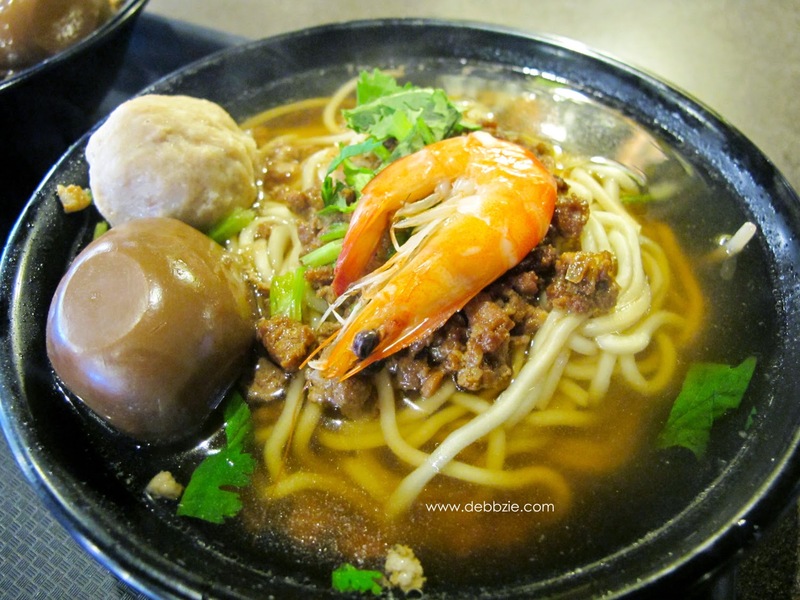 I loooove yellow noodle for its smooth and chewy texture. 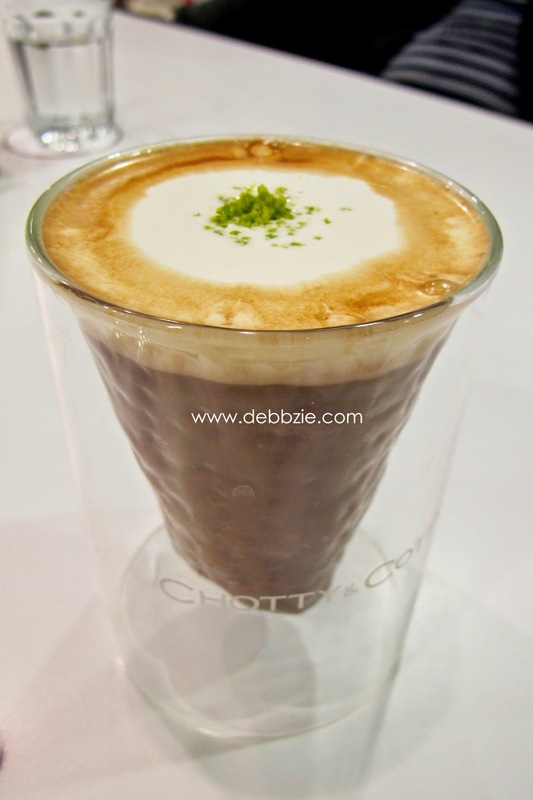 The broth is clear and savoury, made from shrimp thus it has a slight hint of sweet taste. 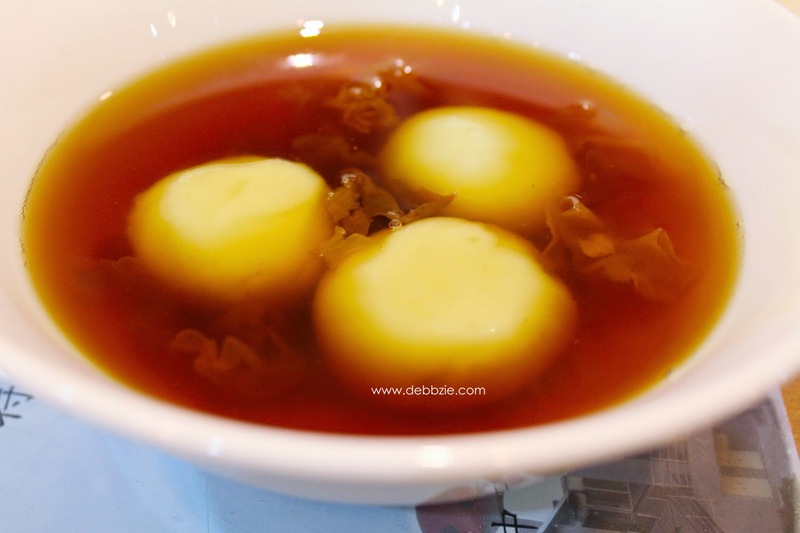 Served with braised minced pork, shrimps and marinated boiled egg. I always order another bowl of Taiwanese pork meatball to complement this delicious nibble. OMG! Please excuse me for a moment *wiping the drool off my mouth*. 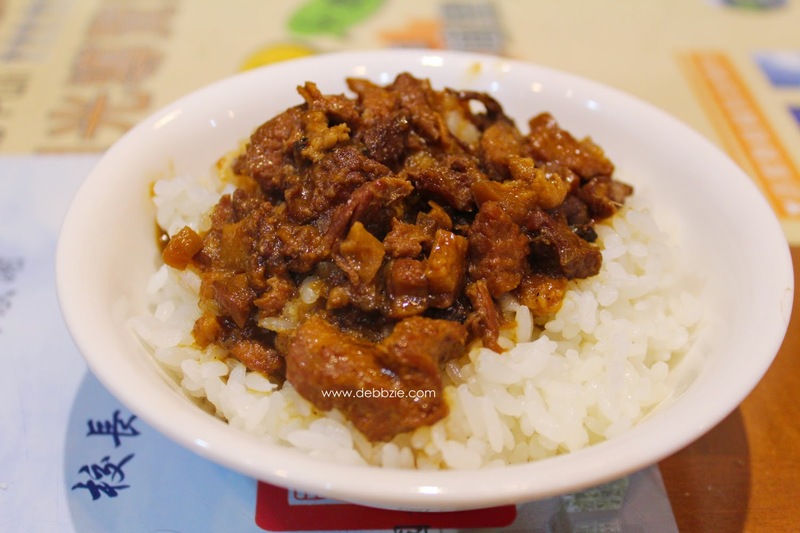 One of Taiwan's signature dishes is Lurou Fan or minced pork rice. On my last trip, I was passing through Nantou county and tried the minced pork rice at one small eatery called Su Mama (found it from Tripadvisor). It's only a simple bowl of hot rice topped with braised mince pork. But the combination of sweet, salty, savoury and fragrant was so good, I was about to order another bowl. 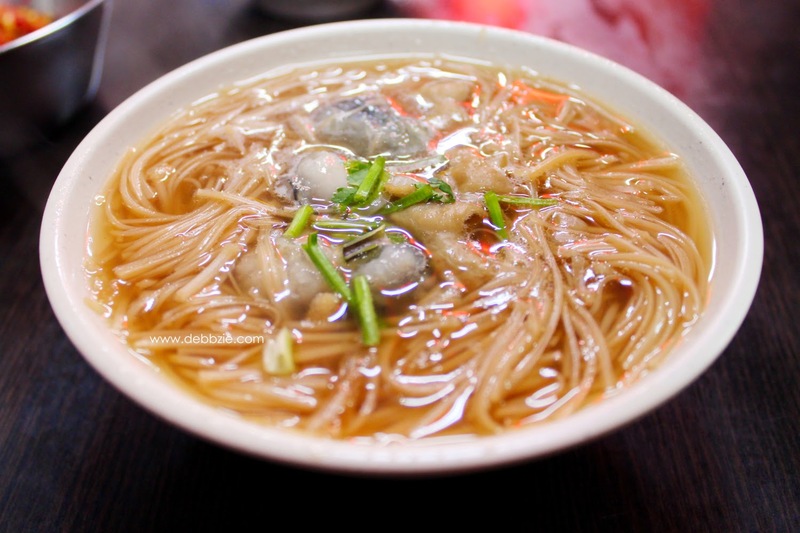 Youyu means squid and geng is thick soup, another specialities of Taiwan which usually can be found in traditional market. When I was a kid, this soup was the reason I'd wake up very early and tagged along my grandmother to traditional markets. 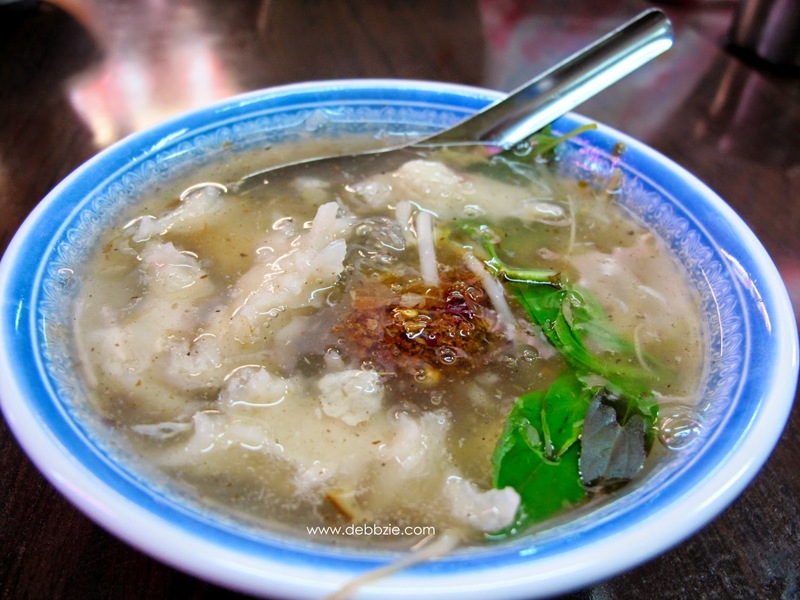 You yu geng is made from squid which is wrapped in fish paste then cooked in some fish broth then added slices bamboo shoot, mushroom, vegetables and also vermicelli. 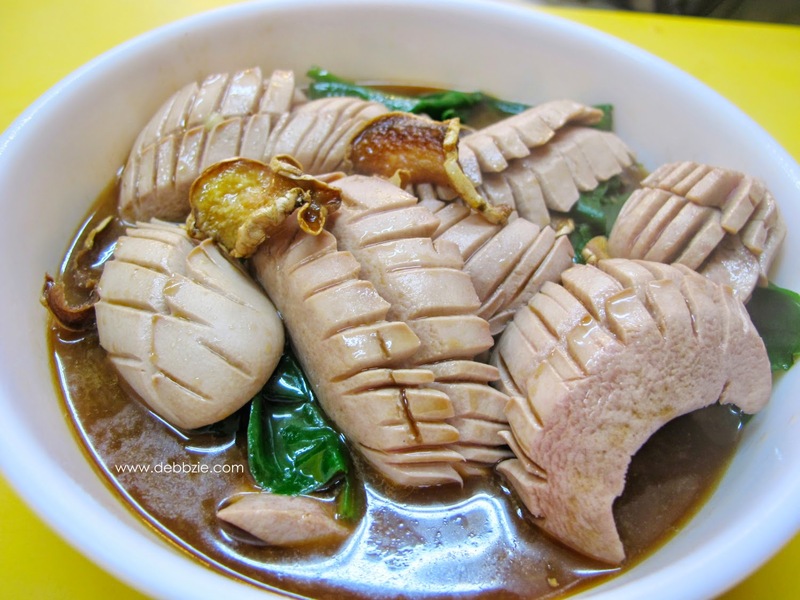 Seasoned with black vinegar before it's thickened with cornstarch. 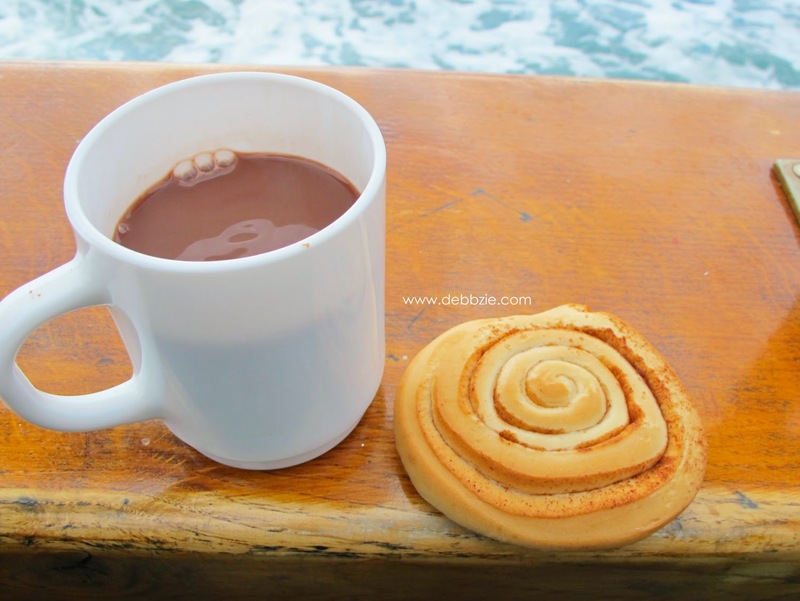 Best to eat in winter or rainy days. 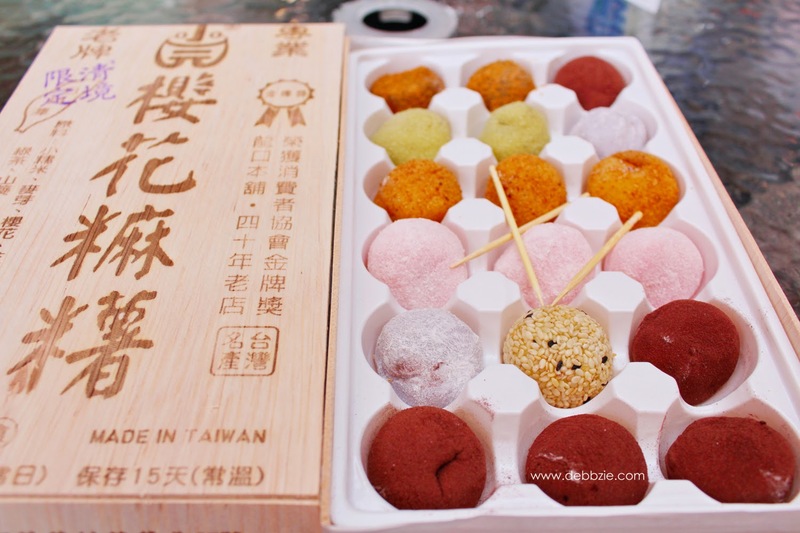 This famous snack from Tainan has a amusing appearance of a coffin hence its name Guancai Ban or Coffin Bread. 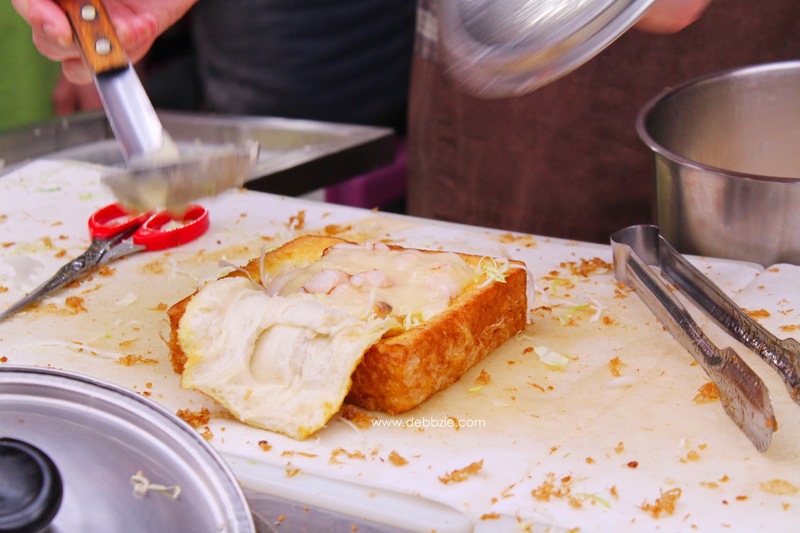 The deep-fried thick slice of bread is cut to resemble a box and lid. Then it is filled with a thick chowder of chicken, shrimp, pork, potatoes and other ingredients. Despite very popular among locals and tourists, I don't really like it. I think the bread texture was too soggy. 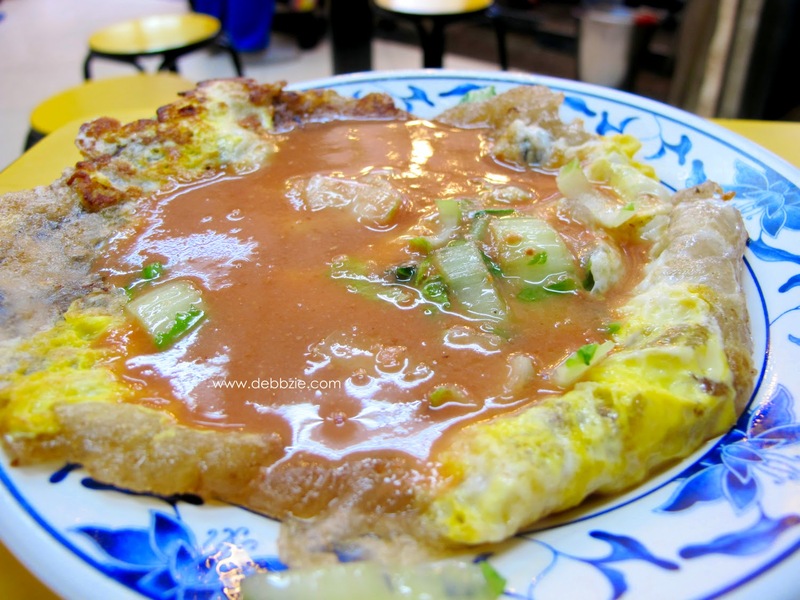 Finally I got to taste the famous Hujiao Bing in Raohe night market. The queue is expectedly very long and that's the sign that I have found the right stall. 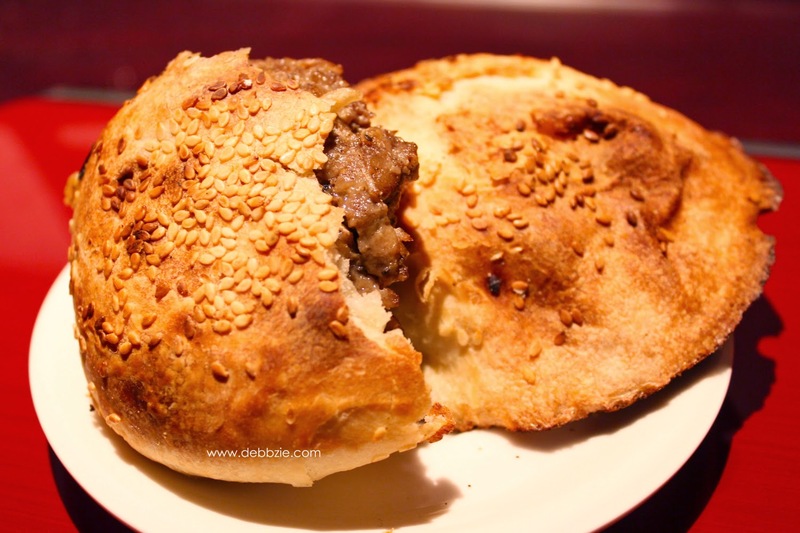 The bun has a crispy and flaky crust which emit the aroma of sesame seeds while the fillings explodes with juicy flavours of scallions, pork and black pepper. It's deliciously aromatic and distinctively smokey being charcoal baked. 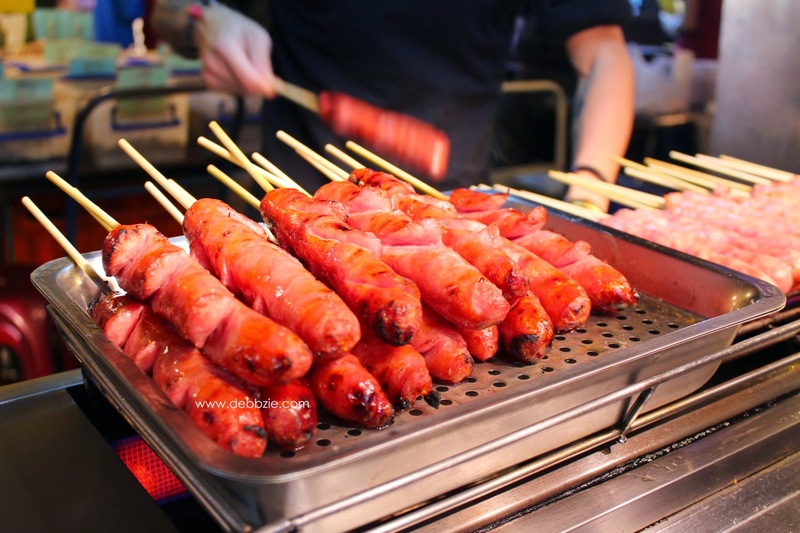 The appetising aroma of this plump and glistening grilled pork sausage floating in the air will certainly teases your sense. 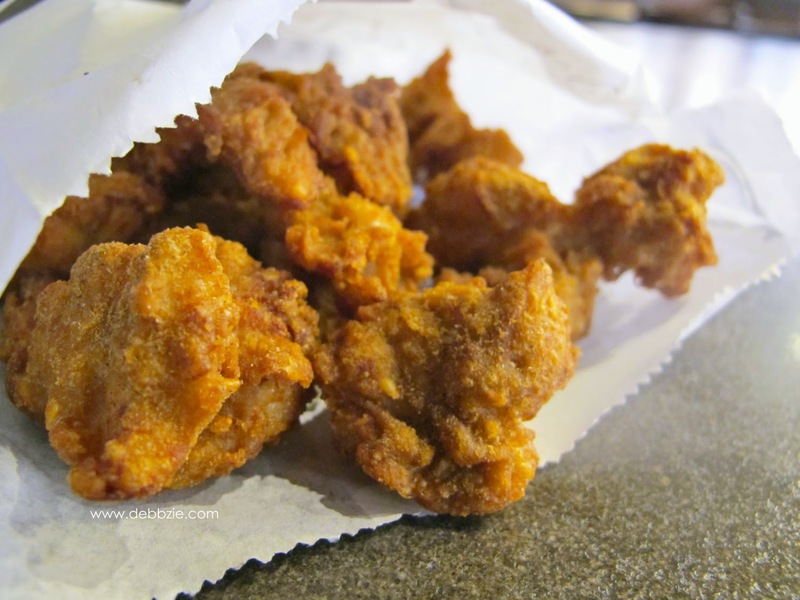 Like being hypnotised, you're walking closer and grab it..... then sink your teeth into the crunchy meat texture while the sweet juice dripping and explodes throughout your entire mouth. Tonguegasm guaranteed. 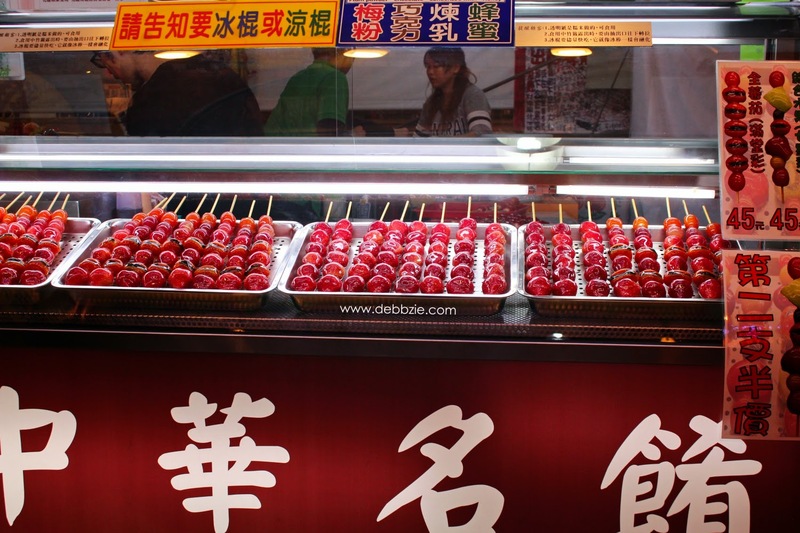 Taiwan also has some delicious fruits, sweet treats and desserts which are too good to be missed. I was quite sad that I couldn't find taro ice cream though. The store which I used to get from is closed down already. 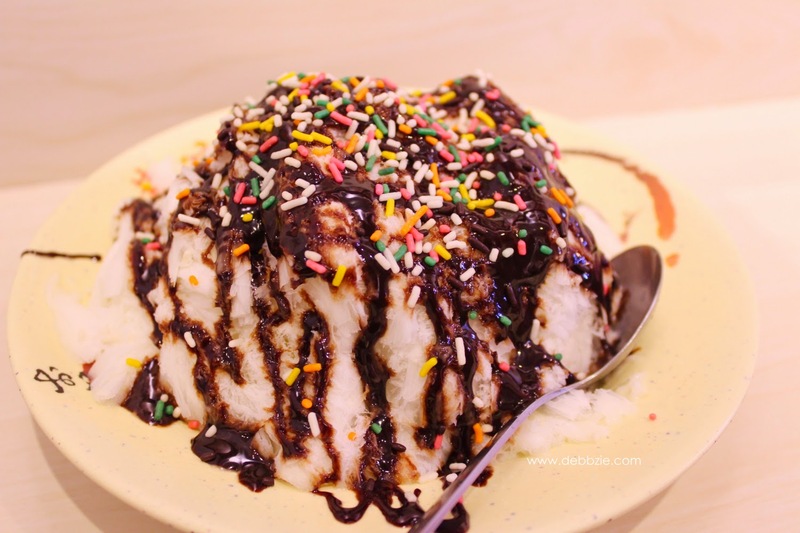 Anyone in Taiwan knows where to get the best taro ice cream? 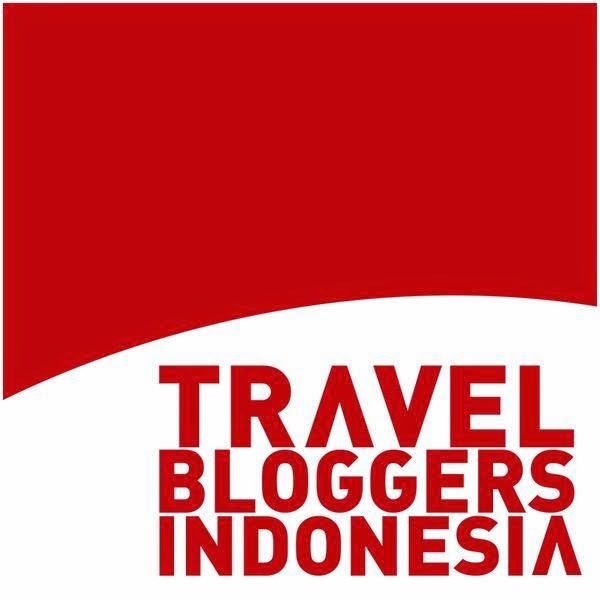 I will surely check it on my next visit to Taiwan.